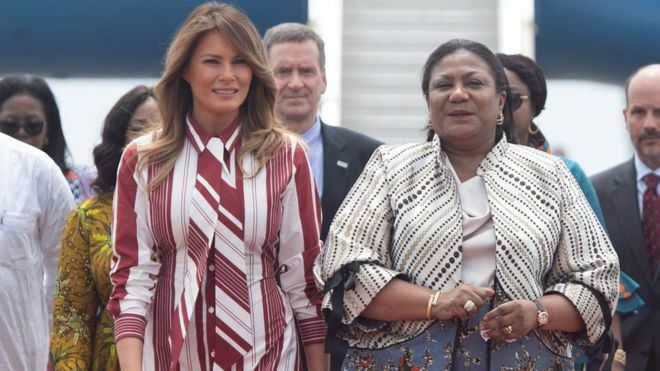 US First Lady Melania Trump has arrived in Ghana's capital, Accra, in a solo trip that will see her visit four African countries. 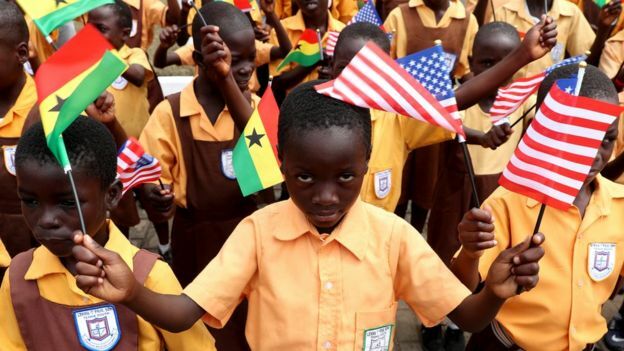 The tour will focus on promoting health care and education programmes run by US foreign aid organisation USAid. She will also visit Kenya, Malawi and Egypt to foster diplomatic relations. She will also promote her Be Best initiative which aims to tackle issues such as cyberbullying and boost healthy living. She tweeted that the campaign was going "international". Ahead of her trip Mrs Trump said that she was looking forward to visiting "four beautiful and very different countries in Africa".